The Friends of Pastorius Park was established in 1987, as a non-profit, volunteer organization, devoted to maintaining the park as it was originally designed to be: a passive, multi-use green space, to be used by individual park goers as such, and in compliance with City rules and regulations. FoPP’s role is one of stewardship and care for Pastorius Park’s landscape and assets. Our organization is committed to making the park a safe and enjoyable experience for all. FoPP has proved this repeatedly for years, through tree and pond maintenance, as well as masonry repair and renovation of the warming hut. Most recently, FoPP repaired all of the park’s benches in summer of 2016, and is currently involved (with both funding and volunteer workers) in restoration and maintenance of the park’s water system, in collaboration with the City’s Parks & Recreation Department (PPR). FoPP funds all its improvements/repairs at Pastorius Park with tax-deductible donations and membership fees from the community. Named for Francis Pastorius, a German-born Quaker who founded Germantown in 1690, Pastorius Park was first conceived in 1910 by George Woodward (1863-1952), a prominent physician, developer, and progressive politician. Working with architects Louis Duhring, Jr., Robert Rodes Goodwin, and Edmund B. Gilchrist, Woodward and his team transformed Chestnut Hill into a ‘New Garden’ suburb of Philadelphia. Pastorius Park was conceived by Woodward after he visited Hyde Park in London around 1914. The land that comprises the present-day park was donated by Woodward, but languished for over 20 years as the City of Philadelphia debated on whether to extend Lincoln Drive to a rotary intersection that would be built where the Park now stands. The City abandoned the idea in 1934 due mostly to the Depression. The Fairmount Park Commission then hired local landscape architect Frederick W. G. Peck to develop a design for the Park, albeit with no commitment to implement the design. George Woodward was pleased with the design and once again stepped in and funded materials with the actual construction of the Park and its improvements being executed by the Works Progress Administration (WPA) in 1937. Peck’s design was heavily influenced by Frederick Law Olmstead and reflected the Community’s desire and Woodward’s vision as a passive, reflective space. Major components of the Park included a constructed pond for reflection and ice skating (replacing an existing swamp), a stone warming hut, and an amphitheater for Community events. As City budgets decreased and funds were re-directed to inner-city facilities over the following 50 years, the Park fell once again into disrepair and became a candidate for restoration including potential re-design in the 1980’s. The Community, including the Chestnut Hill Community Association (CHCA) and Friends of Pastorius Park (FoPP), voiced strong opposition to changing the character and purpose of the Park and Pastorius Park maintained Woodward’s vision as a passive, reflective space as the Park underwent renovation in the late ‘80s funded by CHCA, Pew Memorial Trust, citizen donations, and the Woodward Family. The Park underwent a second restoration in the mid-to-late ‘90s when the Pond was drained, cleaned, lined, and various circulation improvements made. This work was funded entirely by FoPP through a generous donation by the family of Quita Woodward Horan, then President of FoPP. Today, the Park remains true to its original design and the original vision of George Woodward and Frederick Peck. It also still faces many of the same challenges resulting from diminishing City funding and resources. FoPP operates in a stewardship role to both help fund and oversee maintenance and improvements at the Park. As an example, the 2017 pond restoration was spearheaded by FoPP under the direction of President Tracy Gardner with support from CHCA, CHBD, CHHS, and local citizens and businesses and funded through the Office of City Councilwoman Cindy Bass and FoPP. Sources: 1987 restoration report by Frederick Richards, along with various articles from the Chestnut Hill Local. of Pastorius Park? Because reliable funding enables our organization to budget and schedule work every year to maintain the health of the park’s trees and water system, as well as its assets, such as masonry, the warming hut, benches, and landscape. to introduce fresh ground water into the pond during periods of drought and extreme heat (cost: $3,000). Last October FoPP spent $5,000 to have the moat cleaned to temporarily accept wildlife, while PPR cleaned the pond. Most recently, in Spring 2017, FoPP installed $10,000 worth of aeration fountains in the cleaned pond to increase water movement, and thereby prevent formation of mosquito larvae. In the near future, FoPP plans to work on erosion and run-off problems at the park (particularly at the W. Hartwell/Roanoke end of the park). This work will require coordination with various City departments, but will also depend greatly upon generous private donations from the community to fund our advocacy and expenditures to correct and heal park landscape problems. 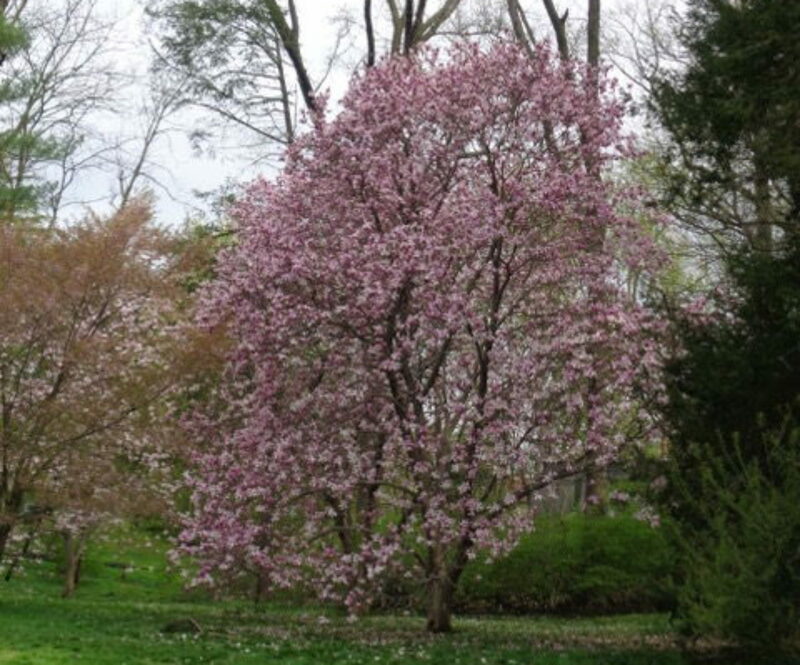 Another looming project for the Friends is consideration of the 2011 University of Pennsylvania health assessment and inventory of Pastorius Park’s trees. FoPP funded this study ($5,550), which also includes a Master Plan and recommendations for future tree planting and maintenance at the park.